Between them, John Digweed and Nick Muir probably been involved in many pivotal moments in the world of club music over the years and have in many ways helped to define genres and push the boundaries further. Their partnership has been one of electronic music's most fruitful pairings, creating a body of work that has possibly seen them become one of the world’s most highly regarded production duos. ‘Track For Life’ is another mission statement, showing that they are not resting on past laurels, but always developing their sound in an exciting direction. The low-slung, hypno-throb groove with expanding melodic flourishes works as the track’s beguiling energy builds subtly throughout. 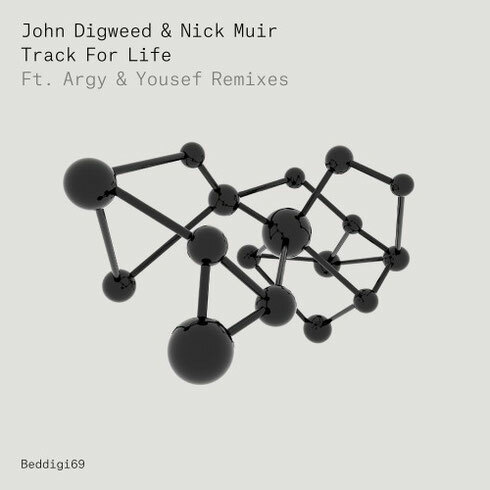 Remix duties fall to Argy and Yousef, two driving forces within the modern electronic dance scene, and the ideal candidates to take ‘Track For Life’ in different and exciting directions and provide fitting alternatives to the Original. Argyris Theofilis aka Argy’s remix ups the pace and develops the track into a heavyweight, pulsating, peak-time cut. Meanwhile, Yousef’s Circus Rework, locked down by a highly distinctive, tight, clanking, hip-swinging groove, is loaded with bubbling energetic abandon.